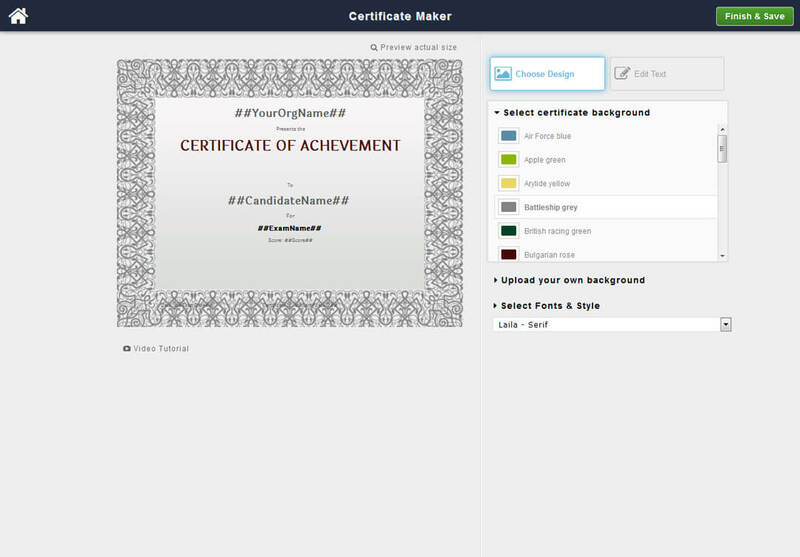 Compatible for all types of certification, our customizable online certificate maker can be used to create and design personalized certificates. Features include adding a logo, background image, custom text as well as signatures. For those seeking pre-designed templates, you may choose from twenty designs offered by Exam Testing to simplify the process.